On Wednesday, the Judiciary Committee voted to advance LB 390 to General File for debate by the full Legislature. LB 390 is my personal priority bill this year. The bill creates the Medical Cannabidiol Pilot Study within the University of Nebraska Medical Center for patients who suffer from intractable epileptic seizures. It allows access to low-THC cannabidiol oil for patients under the supervision of a neurologist at the University of Nebraska Medical Center. Under LB 390, the only allowed substance is cannabidiol or CBD that contains .03% THC or less. This is the same amount of THC found in industrial hemp and is too low to produce a high for recreational use. I look forward to discussing this bill with my colleagues on the floor in the weeks ahead. No opposition testimony at the bill’s hearing, unless a committee amendment completely addresses the opposition’s concerns. The topic the bill opens up is non-controversial. The bill does not adopt a new act or make several changes to an existing law. The bill does not have a general fund impact. Similarly, tax expenditure bills are not eligible for consent. The bill was reported to General File by March 23, 2015. Per legislative rule, any bill on Consent Calendar can be removed from the agenda by the written request of 3 or more senators. If this happens, the bill will be passed over and will not come up for a vote. Similarly, if an amendment to a Consent Calendar bill that adds new subject matter is adopted on the floor, the bill will not be placed back on the agenda. In 2013, the Legislature passed LB 429, a bill I introduced and prioritized, to bring additional transparency to the state contracting process through the creation a publicly available website for all state contracts. The current statute requires indefinite retention because there is no timeline for retention. LB 541 clarifies that the state contract website, operated by the Department of Administrative Services, will follow the state agency general retention schedule. Since September, Humanities Nebraska has partnered with the Veterans Administration in Lincoln to organize six-week workshops for veterans and active duty military members. The latest workshop, called “Standing Together” began on January 17. In addition to writing strategies and techniques, workshop participants also read Simon Wiesenthal’s “The Sunflower” and Art Spiegelman’s “Maus.” A similar workshop series in Omaha is planned this fall. If you are interested in participating in a future workshop or know a veteran who might benefit from the series, please contact Beverly Hoistad at valdosta27@gmail.com. On Wednesday, the Legislature advanced LB 152, one of the Urban Affairs Committee’s two committee priority bills for the session. LB 152, which authorizes cities and villages to borrow directly from banks and other financial institutions, would help smaller cities and villages that run into cash-flow issues when, for example, a city-owned vehicle breaks down and must be quickly replaced. Nebraska generally follows the legal doctrine known as Dillon’s Rule, which means that municipalities may only exercise those powers that are expressly granted to them by the state – without authorization, cities and villages would be unable to borrow from local banks located in their communities. While LB 152 was one of the first bills heard this session by the Urban Affairs Committee, it was also one of the bills that was discussed most often by the committee in executive session. Most borrowing by cities and villages currently comes in the form of municipal bonds, many types of which must be approved by the voters. Committee members were initially concerned that without some type of limitation, direct borrowing could be used as an “end around” for cities to avoid traditional bond financing. To address those concerns, the committee spent a significant amount of time working on the bill to place reasonable restrictions on municipalities’ ability to borrow directly from banks. LB 152 provides a perfect example of the role that committees play in the legislative process. Prior to advancing the bill, the committee carefully crafted amendment language that balanced the need for flexible municipal financing tools with ensuring transparency in local budgeting and avoiding the possibility that municipalities would use direct borrowing to avoid going to the voters. While direct borrowing represents an important new tool in the toolbox for municipalities, the work of the committee ensures that traditional bond financing will continue to be used in cases where it is clearly warranted. I enjoy visiting with visitors from the district. Avery Elementary was the first 4th grade class to visit this year. 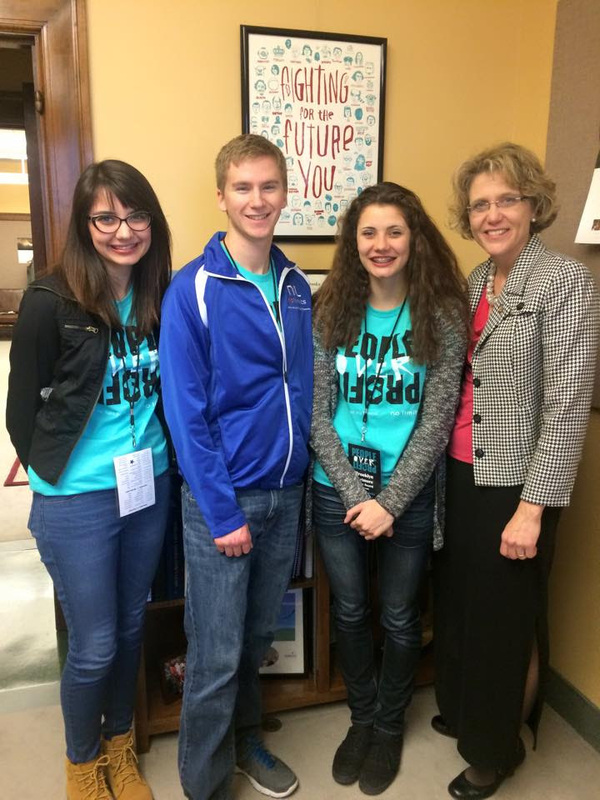 I met with a couple of Bellevue West students this week who were at the Capitol for a Humanities Nebraska workshop on political issues. This week I also had a chance to speak with nursing students, including many from Creighton, about health bills and the importance of being engaged in state politics. If you are ever at the Capitol, make sure to stop by my office in room 1212 and say hi! Our office received a number of calls and emails this week regarding Senator Chambers’ comments that were made during a dialogue with Senator Garrett at a concealed carry hearing last Friday. While no other senator, including me, condones Senator Chambers’ remarks, the context of those remarks has been lost in the media frenzy. In that dialogue, Senator Garrett implied that Nebraska citizens might want to carry a gun if they are going for a family outing to Chili’s or Applebee’s because they were afraid of ISIS. After that comment, Senator Chambers argued that he and others in his community had reason to fear law enforcement and that discussion included unfortunate and inflammatory remarks that received a great deal of press attention this week. To those concerned that it was not discussed by his peers, know that Senator Chambers’ comments were discussed thoroughly Thursday morning on the floor. Several senators expressed their concerns about the comments and there was a serious debate about free speech in the legislature and our personal responsibilities in our own speech and in our responses to others who make comments on the floor and in hearings. While no other senators, including me, condone the remarks, the freedom of speech is a fundamental right that must be protected. At one point in that debate Thursday morning, Senator Mello noted that many senators in the Legislature who did not publicly criticize Senator Chambers have regularly supported police in tangible ways by protecting their sick leave, protecting their collective bargaining rights, and protecting their access to healthcare and education. I would put myself in that category. I did not participate in public outrage over the remarks, but I have worked hard to serve those who serve us in public safety roles in bill after bill. For example, one of the first bills I introduced was LB 321. LB 321 eliminated a provision requiring police officers in first class cities like Bellevue and Papillion to spend down their sick leave or personal leave before receiving short-term disability benefits. Prior to the enactment of LB 321 as part of a larger Nebraska Retirement committee package in 2013, officers could face a situation where they return to work after an injury in the line of duty without sick leave to care for themselves or someone in their family. Many on the floor demanded a retraction, clarification, or apology. It is important to note that Senator Chambers did clarify in a follow up news account that he did not want to encourage anybody to shoot anyone. After our floor debate on Thursday he was talking to reporters, so I expect more clarification of his comments appeared in news outlets at the end of the week. March is Women’s History Month. This update highlights some of the women leaders, past and present, that have inspired us and provide us with examples of how to make a difference. On the north side of the State Capitol Building is an engraving that reads in part, “Honor to the pioneers who broke the sods that men to come might live.” One of these early yet seldom remembered pioneers was Mary Meyer. Mary was not only the first woman homesteader in Nebraska, but recent research suggests she was the first woman homesteader in the entire nation. She took advantage of the Homestead Act of 1862, and on January 20, 1863, she filed claim on a parcel of land near modern-day Beatrice. Mary was the first of many women who came on their own or with children to settle on the plains. Research by historians at the National Homestead Monument indicates that nearly a quarter of Nebraska’s early homesteaders were women. It is Mary Meyer, and women like her, who truly broke the sods so that men and women alike could settle in our great state. Born in 1878, Grace Abbott, a Grand Island native, devoted her life to the betterment of women and children across the nation. Concerned about the low pay and long hours required of children who worked in factories, Abbot became a leader in the fight for federal legislation protecting children’s rights. As a result of her efforts, the Sheppard-Towner Act was passed, which addressed and corrected the inadequate medical care available to women and children. In 1921, President Warren Harding appointed Abbott head of the Children’s Bureau in the Department of Labor, a position she held until 1934. Following her death in 1939, she was named one of “America’s Most Distinguished Women” by a leading women’s magazine of the time. She was later inducted into the Nebraska Hall of Fame in 1976. Margaretta Shaw Stewart Dietrich was originally born and raised in Pennsylvania, but made Hastings, Nebraska her home following her marriage to former Nebraska Governor and United States Senator Charles H. Dietrich. Mrs. Dietrich was heavily involved with the advancement of the suffrage movement in the state. She become the first president of the Nebraska League of Women Voters in 1920. She subsequently served five years as one of the regional directors on the board of the National League of Women Voters between 1921 and 1926. Her influence enabled the League to become active in promoting legislation that improved the welfare of women and children, secured independent citizenship for married women, and regulated child labor. 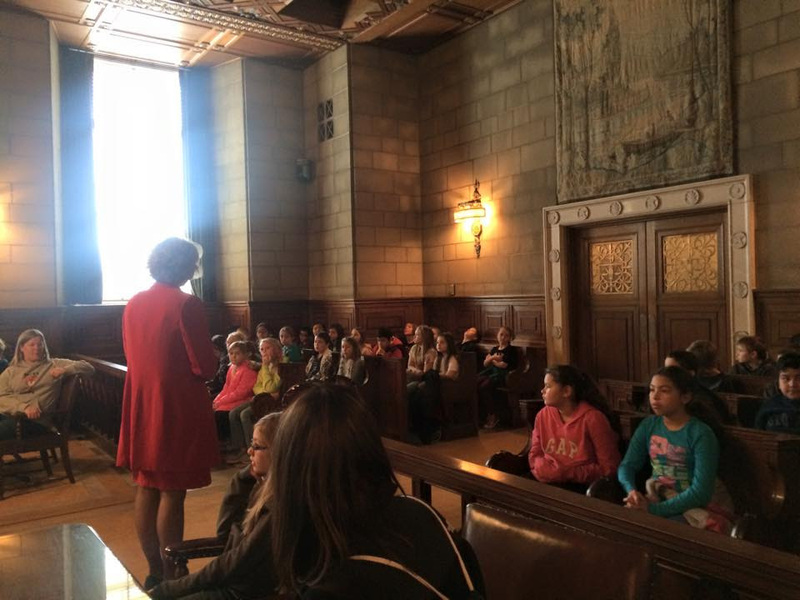 Currently ten of the forty-nine members of the Unicameral are women. My female colleagues serve in leadership positions on Education, Health and Human Services, and Transportation and Telecommunication committees. In 2012, State Senator Sara Howard was elected to represent District 09 in Omaha, the seat previously filled by her mother Senator Gwen Howard, marking the first mother-daughter legacy in the Nebraska Unicameral. In that same year, former State Senator Deb Fischer became Nebraska’s first female United States Senator following her defeat of Bob Kerry in the 2012 General Election. In addition to senator and committee priority bills, the Speaker of the Legislature can designate an additional 25 bills each session as speaker priority bills. Among the bills designated as a speaker priority this session was LB 540, a bill that I introduced as Chair of the Urban Affairs Committee to update the state building code. Like most states, Nebraska has adopted as its state building code a series of model codes published by the International Codes Council, a national association that develops model building codes and standards. The current state building code consists of three such model codes: 1) the International Building Code, or IBC, which covers all new construction except one- and two-family dwellings; 2) the International Residential Code, or IRC, which covers new construction of one- and two-family dwellings; and 3) the International Existing Building Code, or IEBC, which covers repair, alteration, addition, and change of occupancy for existing buildings. New editions of these codes are published every three years, and the state has currently adopted the 2009 versions of the codes, with the exception of the residential fire sprinkler mandate in the IRC. LB 540 would update the state building code by adopting the 2012 versions of the IBC, IRC, and IEBC, with two exceptions. First, the bill would not adopt provisions in the 2012 IBC and IRC which correspond with the 2012 International Energy Conservation Code (IECC), as the current state energy code is the 2009 IECC. Second, LB 540 would not adopt the residential fire sprinkler mandate in the 2012 IRC. Under current law, the state building code does not include the fire sprinkler mandate, but political subdivisions have the ability to “opt in” to the fire sprinkler mandate. LB 540 would retain this “opt in” option for local governments. Friday was the 49th day of the legislative session. It also marked the end of public hearings for this session. Beginning Monday, the Legislature will start all day floor debate. The Legislature starts at 10:00 AM during the first day of the work week. All other days legislative proceedings begin at 9:00 AM. For the next two weeks, the Legislature will adjourn around 5 PM each day, with the exception of the last workday of the week, when the Legislature will work through the lunch hour and adjourn in the early to mid-afternoon. As we get further and further into session, the work days will get longer and longer. Last year, there were several late nights in which the Legislature adjourned after 10:00 PM. In addition to priority bills, we will soon begin debate on the budget. The Appropriations Committee has until the 70th day of session during a long session (40th day in a short session) to place budgets bills on General File. As Appropriations hearings come to a close this week, the committee will spend the next two weeks putting together its final budget proposal for the full body’s consideration. On Thursday, March 26, Bellevue University will hold a career fair with representation from over 50 metro employers. The event is open to the public and will be held in the John B. Muller Administrative Services Building from 11:30 AM to 2:30 PM. Also on Thursday, March 26, the Bellevue Police Department will host a Community Neighborhood Watch Meeting. All those interested currently in a neighborhood watch group, interested in joining or starting a group, or learning more information about neighborhood watch programs in Bellevue are encouraged to attend. The meeting will run from 6:30-8:00 PM in Classroom B of the Bellevue Police Department, 1510 Wall Street. We are nearly halfway through the legislative session. At this point in the session, the debate on the floor turns to those bills that have a priority. This past week was the deadline for all priority designations and proposals. In all other states, the Speaker and the majority party decide which bills get time on the floor. In Nebraska we have a unique priority system. Each Senator gets to select one bill as his or her priority. These bills get top priority for floor debate at some point before the end of the session. Each committee identifies 2 priority bills. Thursday was the deadline for both senators and committees to identify and submit their priority bills. The Speaker also gets to select 25 priority bills. Wednesday was the deadline to submit bills for the Speaker to consider as a Speaker priority bill. Since all of the priority deadlines were this week, and since getting a priority designation on a bill is so important, this week was a hectic one. All of the senators were scrambling to try to get their most important bills voted out of committee before the priority deadlines so that they could propose them as Speaker priority bills or line up a Senator to make the bill his or her personal priority bill. The Speaker is unlikely to pick a bill that has not gotten out of committee and individual Senators tend to be reluctant to pick a bill as a priority if it has not gotten out of committee by the deadline. I made LB 390 my personal priority bill even though it has not been voted out of the Judiciary Committee yet. I talked with committee members and was assured it had the votes to get out next week and would be voted on next week. Therefore I was willing to take the risk on this important bill that provides a pilot project for those with intractable epilepsy. I worked hard early in the week to try to get one of my unfunded mandate bills out of the Revenue Committee in time to request a Speaker priority. I wasn’t able to get that done because the Revenue Committee had so many other bills that were also being pushed by other senators who were also wanted a bill out in time for priority deadlines. However, I was able to get another important bill out of Judiciary in time to request a Speaker priority for that bill. That bill (LB 459) establishes protections for child victims in pre-trial discovery. 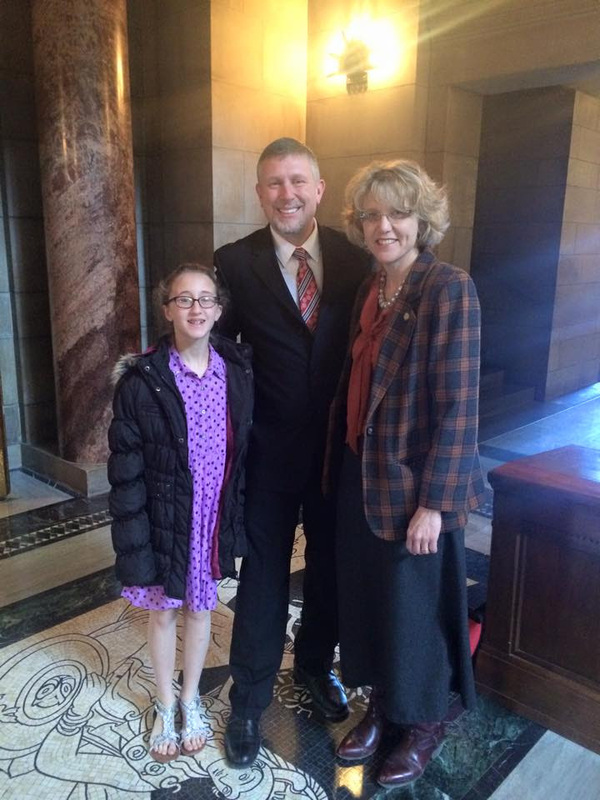 On Thursday, Bill Henry with Missing in America Project Nebraska Chapter visited the Capitol to watch as the Legislature passed LB 146 on a 44-0 vote. The idea for this legislation was brought to our office by Bill Henry this summer. Bill has been instrumental in garnering support for LB 146 and getting the legislation passed. LB 146 will help funeral homes work with veterans service organizations like Missing in America Project to inter unclaimed remains of veterans for burial in a veteran cemetery. The bill now goes to the Governor for his signature. LB 146 is one of five military and veteran bills I introduced this year. The Legislature passed four of the five already this year. Two (LB 109 and LB 219) are now law. The other two (LB 272 and LB 146) await the Governor’s signature. LB 109 changes requirements for veterans attending a public college or university to bring a bill we passed last year (LB 740) into compliance with new federal law. Under LB 109, all veterans who left active duty service within the past three years and their dependents are eligible for in-state tuition. LB 219 adopts the Uniform Deployed Parents and Custody and Visitation Act to create a legal process for military families with shared custody during a deployment. LB 272 creates a voluntary veterans preference in private employment for veterans and spouses of 100% disabled veterans or spouses whose veteran was killed in action. Military retirees are an important economic asset to our state, which is why I was encouraged to hear Gov. Ricketts commit to a sizable military retirement investment in his State of the State address and pleased to see that he reinforced that commitment in his budget statement. What this actually meant in the legislative process is that he reserved over $20 million dollars outside of specific spending programs to be used for tax relief in his budget request to the legislature. This is in addition to some dollars that he set aside for property tax relief. Four senators, including me, introduced military retirement tax relief bills. In the Legislature, these bills compete against all other tax reduction proposals for that money. Senators have introduced over $100 million this year for tax relief. Some of these other tax cut proposals include bills to lower the income tax rates for all taxpayers, bills to provide more property tax relief, and many bills for tax exemptions and incentives for education, tourism, and even food sales by veteran service organizations. It appears to me that the Governor has not prioritized directing all of the $23 million to military retirement tax relief at this point given the mix of tax reduction proposals being considered. Similarly, the Revenue Committee appears committed to trying to tackle a broader tax reduction package with the limited revenues available. I have been negotiating with members of the Revenue Committee on a smaller package that addresses what I see as the most egregious element of our current policy, which is that military retirees who have already chosen to live in Nebraska don’t qualify. As of last week, the Revenue Committee had not voted out an amended version of LB 267to address this situation. However, the chair of the Revenue Committee assured me that the bill is not dead and we would continue our discussions. He knows from our discussions that this is a critical year to correct this situation since the policy passed last year goes into effect next year. 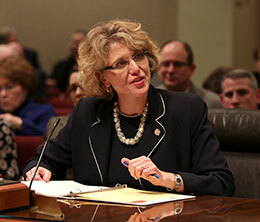 Senator Sullivan used her personal priority to ensure that her Learning Community bill makes it to the floor this year. This is good news because it ensures that we will have a floor debate about the Learning Community this year. Senator Sullivan’s bill has several provisions that allow school districts to return to pre-Learning Community rules on several issues including boundaries. It does not yet go far enough yet in terms of eliminating the common levy and ensuring strong boundary negation processes. However, I have been working hard with the three school districts in my legislative district (Bellevue, Omaha, and Springfield-Platteview) and members of the Education Committee to continue to push for the bill to address these concerns before it gets to the floor. In addition to each senator’s personal priority bill, each standing committee of the Legislature can designate two bills as committee priority bills. While committee priority designations are at the discretion of the committee chair, most committee priority bills tend to be consensus bills that have the unanimous support of committee members. This is the case with both of the Urban Affairs Committee’s priority bills this session. The Urban Affairs Committee’s second priority bill this session is LB 152, a bill that would authorize cities and villages to borrow directly from banks and other financial institutions. While most municipal borrowing comes in the form of municipal bonds, many smaller cities and villages run into cash flow issues when, for example, a city-owned vehicle breaks down and must be quickly replaced. As amended by the committee, LB 152 provides municipalities with the authority to utilize direct borrowing in these and other instances, but contains important protections to ensure that municipalities are not using this tool to avoid using traditional bond financing, which often requires a vote of the people. On Thursday afternoon, Governor Ricketts signed LB 107, a bill I introduced this year to eliminate integrated practice agreements for nurse practitioners. LB 107 represents a no-cost option to improve access to health care in our state, particularly in our rural areas. I am proud to work on this issue for nurse practitioners across the state and appreciate the support of Governor Ricketts and the 46 senators who supported the bill. Nebraska now joins 19 other states, including neighboring Iowa, who have eliminated this unnecessary government restriction on nurse practitioners. Last Friday, Governor Ricketts signed LB 219, a bill I introduced this year to adopt the Uniform Deployed Parents and Custody Act. LB 219 provides a clear, legal framework for parents and judges to use to make arrangements for children subject to a Parenting Plan when a military parent is deployed. The bill creates a framework to establish a plan for reducing disruption for the child when a military member with parenting time gets deployed if the court finds the plan to be in the best interest of the child. Yesterday, the Legislature passed LB 272 on a 45-0 vote to create a voluntary hiring preference option for private sector employees. Veterans’ skills, particularly their leadership skills, don’t always translate well into a civilian resume. This is especially true for employment opportunities that might use algorithms or other automated processes with search terms to sort resumes. For example, Missile Operator or Vehicle Maintenance Controller would not generate a hit in the algorithm the way Program Manager might, even though both positions required many of the same skills. What’s more, only 1 in 600 corporate hiring managers come from a military background. LB 272 allows businesses to give these veterans’ resumes a second look and consider hiring them if they are equally qualified for the position. The Urban Affairs Committee completed its public hearings on February 28th, but the committee’s work is far from over this session. Since completing hearings, the committee has held multiple executive sessions over the past week. 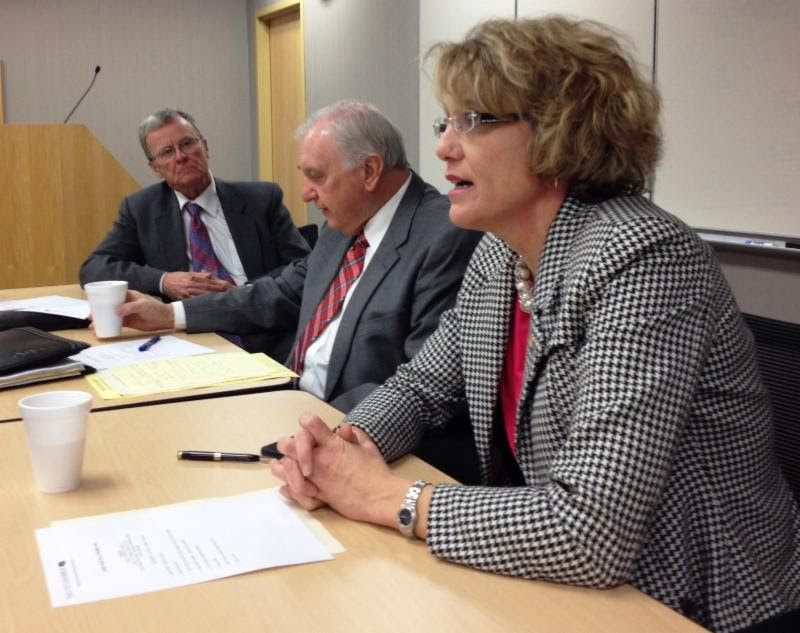 Executive session is often when the “meat” of a legislative committee’s work is done. Senators discuss the bills that were heard by committee and request that committee staff obtain additional information or draft amendments to bills. Bills can only be advanced during an executive session, so while a bill may have its public hearing early in the legislative session, it cannot be considered by the full legislature until after the committee “execs” on the bill. While executive sessions are closed to the public, members of the media are permitted to attend and report on actions taken during the session. All votes taken during executive session are public record, and when a committee votes to advance or indefinitely postpone (kill) a bill, those votes appear clearly on the bill’s committee statement. Committees often meet to “exec” on a bill one afternoon a week following hearings. In addition, the Speaker typically designates two days as “check-in” days for committees. This past Thursday was the first of this session’s “check in” days for 2-day and 1-day committees like Urban Affairs and Business and Labor. Next Tuesday will be the “check-in” day for 3-day committees such as Health and Human Services and Judiciary. While legislative committees will continue to hold public hearings until March 20, next week I will offer testimony on the three remaining bills I introduced this session: LB 108, 459, and 390. 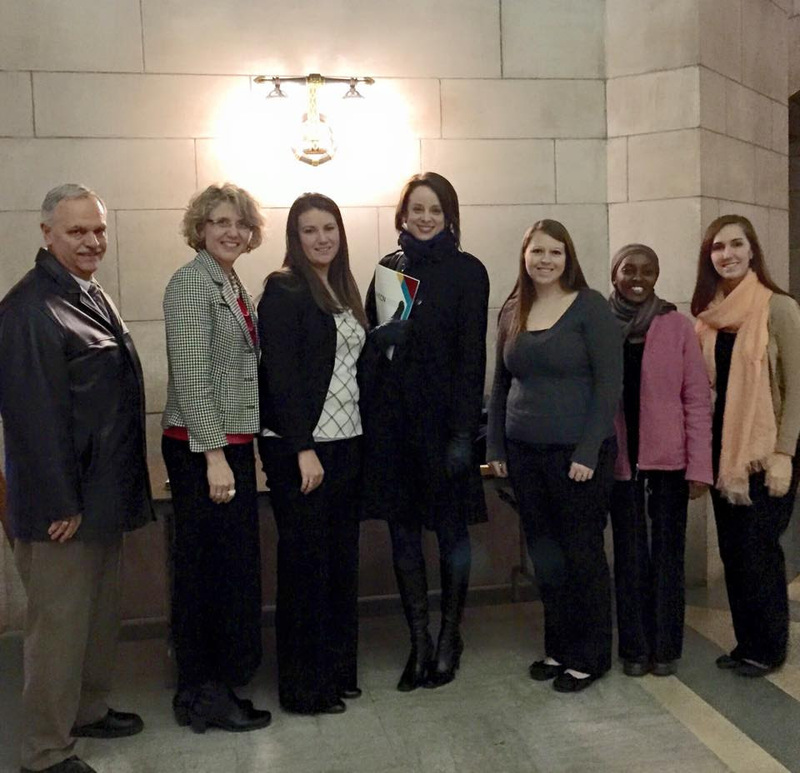 LB 108 establishes 12 one-year behavioral health master’s level internships in rural and underserved areas of Nebraska. Behavioral health master’s level programs include professional counseling, marriage and family therapists and clinical social workers. Currently, the state funds 8 additional psychiatry residents and 10 one-year doctoral-level psychology internships. The hearing for LB 108 will take place on Tuesday, March 3 at 1:30 PM in front of the Appropriations Committee (room 1524). LB 459 addresses an issue brought to our attention by Sarpy County Attorneys regarding child witnesses in felony cases. It examines how we treat children during depositions and creates a process for the court to make special provisions during the deposition phase of a trial if the court finds the provision necessary to protect the child from emotional harm or distress. This process is only available if there is already a video recorded interview at a child advocacy center like Project Harmony. Some of these provisions include a maximum time limit for the deposition or allowing a victim advocate or other supportive adult who is not a witness to the case to be present during the deposition. The hearing for LB 459 will take place on Wednesday, March 4 at 1:30 PM in front of the Judiciary Committee (room 1113). LB 390 creates the Medical Cannabidiol Pilot Study within the University of Nebraska Medical Center for patients who suffer from severe and untreatable or treatment-resistant epileptic seizures. It allows access to low-THC cannabidiol, or CBD, oil. THC is the substance in marijuana that produces a psychotropic high. Low-THC CBD oil has no recreational use. The hearing for LB 390 will be held on Friday, March 6 at 1:30 PM in front of the Judiciary Committee (room 1113). 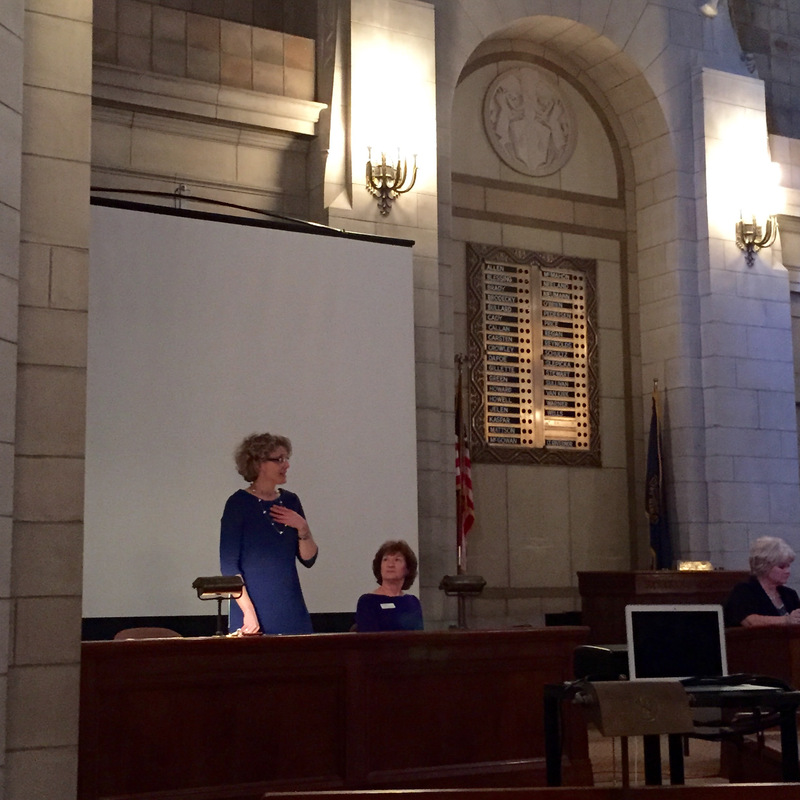 On Thursday, the Health and Human Services Committee heard testimony regarding LB 81 (Cook), a bill to address the cliff effect in Nebraska’s child care assistance program. The term cliff effect refers to a situation where a family loses all public benefits such as child care assistance due to a raise, promotion or extra hours at work. While this increase in income is enough to disqualify the family from assistance, it is not enough to replace the lost child care assistance. LB 81 removes the cliff by allowing recipients to pay for child care on a sliding scale as their incomes increase until their incomes reach a point where they are better able to pay for childcare themselves for up to two years. In a recent Voices for Children in Nebraska recently survey of almost 300 women in Douglas, Sarpy, Lancaster, Polk, Dawes and Sheridan counties, 55% of those who received child care assistance faced the cliff effect at some point. Last year, the Legislature unanimously approved legislation to take a first step in addressing the cliff effect in our child care assistance program. 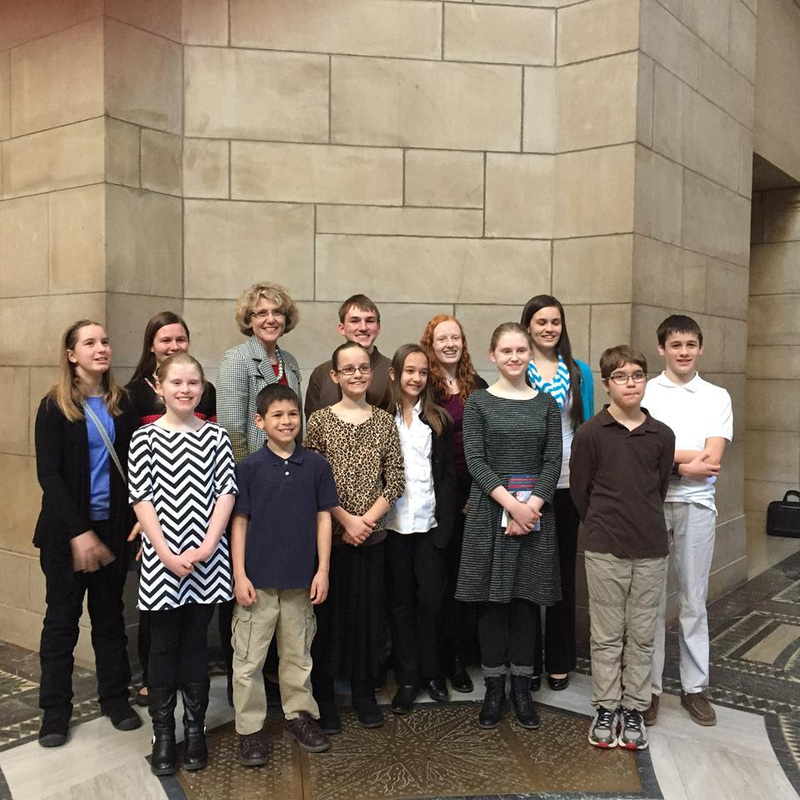 LB 81 builds upon this work and is supported by the Greater Omaha Chamber of Commerce, Voices for Children in Nebraska, Center for People in Need, and Women’s Fund of Omaha. February is Black History Month. As such, this update highlights some of the African American state senators, past and present, in the Nebraska Unicameral.There are currently two African American state senators in the legislature, Senator Ernie Chambers and Senator Tanya Cook. My colleagues both serve in important leadership positions, with Senator Cook serving as chair of the Legislative Planning Committee and Senator Chambers as the longest serving member on the Judiciary Committee. Leadership by African American senators is not new to Nebraska, however. Born to enslaved parents in Kentucky in 1858, Dr. Matthew Oliver Ricketts was a leader in every sense of the word. He became the first African American to be elected as a state senator in 1893, as well as the first African American to graduate from the University of Nebraska College of Medicine in Omaha. During his time in the Legislature, Dr. Ricketts introduced a bill to legalize interracial marriage, was instrumental in passing laws to prohibit the denial of public services to African Americans, and helped to implement a law creating an age of consent for marriage. Omaha State Senator Edward Danner was the lone African American legislator in the Nebraska Unicameral during the U.S. Civil Rights era of the 1960’s. “His efforts not only benefited the black Nebraskan,” said Governor Norbert Tiemann at Danner’s funeral in 1970, “but also served to make the white Nebraskan aware of the needs of his black brothers.” Danner was instrumental in passing legislation that made it illegal for landlords and employers to discriminate on the basis of skin color, and remained a key figure in the Civil Rights Movement in the Lincoln Community. Education, advocating for special education programs and implementing programs to help at-risk youth from dropping out. 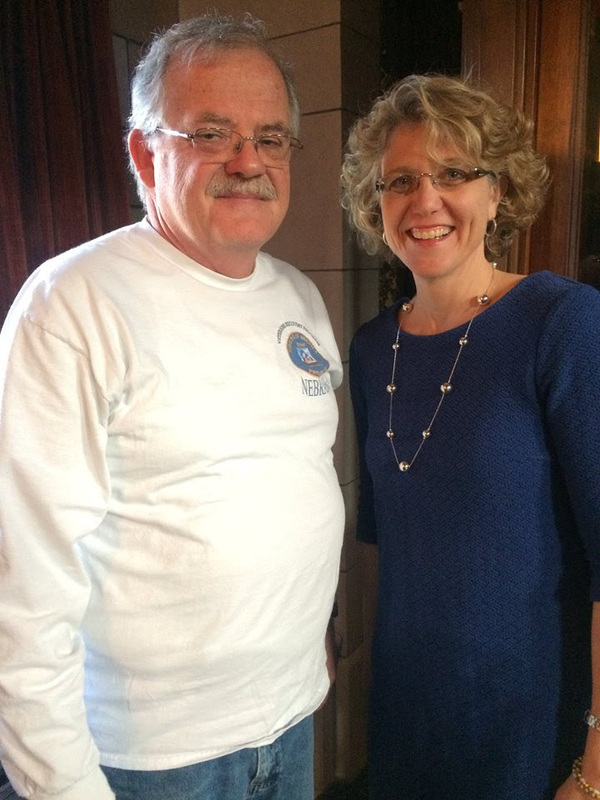 Nebraska’s longest-serving state senator can still be found in his characteristic blue jeans and plain tee shirt on the floor of the Unicameral. The “Defender of the Downtrodden”, Senator Ernie Chambers, has been serving in the legislature for over 40 years. Senator Chambers played a large role in the Civil Rights Movement in Omaha in the 1960’s, and used this momentum to propel himself into the legislature in 1970. Widely renown for his legislative prowess, Senator Chambers spearheaded a 1980 resolution and a 1984 bill that divested state investments in South Africa due to their apartheid policies. Through his action, Nebraska became the first state in the nation to begin the withdrawal of funds from South Africa. Senator Chambers remains one of the state’s most prolific advocates for human rights. Stay tuned for a feature next month in honor of Women’s History Month. Meeting with CASA members from Sarpy County at the Capitol this week.These volunteers advocate for the best interests of abused and neglected children in courtrooms and communities. There have been no cases of voter impersonation fraud in Nebraska. Senator McCollister noted on the floor that the conservative Platte Institute had examined the issue in the state and found no impersonation voter fraud. We have stiff sanctions against such fraud should it occur. Several senators from both parties spoke against the bill. Although most expected a long filibuster on the bill, after a just a few hours of debate the motion to bracket the bill was successful and the bill died. Next Thursday, the Revenue Committee will hear testimony regarding LB 391, a bill to restore a ½ percent monthly commission to counties who collect more than $3,000 in motor vehicle sales taxes on behalf of the state. Prior to October 1, 2002, counties received a 2.5% commission on the first $3000 of motor vehicle sales taxes collected in the county during the previous month, and a .5% commission on tax collections over $3000. This .5% commission was eliminated as part of a larger budget package during the state budget crisis that year. This is one of fourteen unfunded mandates my office identified as part of LR 582 this summer. In Sarpy County, the County Treasurer collects taxes on motor vehicle sales as part of the motor vehicle registration and titling process. As part of this process, county employees may need to track down paperwork from out-of-state or private sellers before completing the sale. This work takes time and the current 2.5% commission does not accurately reflect the costs to counties to collect these taxes. Currently, Sarpy County receives only $21,600 annually for collecting these taxes. If LB 391 passes, this number would increase to approximately $109,000 a year. In 2013, Sarpy County officials estimated the cost to collect these taxes at $103,000 a year in staff time and resources. What Happens After A Bill Hearing? Once a bill’s public hearing is complete, the introducing senator works with the committee chair and committee members on any necessary amendments before the introducing senator requests the committee chair place the bill on the executive session agenda for a committee vote. The frequency of executive sessions vary from committee to committee. In the Urban Affairs committee, for example, the committee generally meets in executive session on Tuesdays following the day’s hearings. If a majority of the committee votes to advance the legislation, the committee clerk will work with the legal counsel to draft and file a committee statement for the bill. As I mentioned in an earlier update, the committee statement outlines the main points of the bill, explains any committee amendments, and lists in person testimony at the bill’s hearing. The bill is then placed on General File, the first of three rounds of debate. The Speaker shapes the agenda and order of bills each day. During the first half of session and prior to the priority bill deadline, bills generally appear in worksheet order–that is, the order in which they are reported to General File. Once the priority bill deadline has passed, only bills with a priority designation and on General File are eligible for floor debate until all priority bills have been heard. Historically, tax-increment financing, or TIF, has been one of the more controversial topics under the jurisdiction of the Urban Affairs Committee. Under Nebraska’s community development statutes, municipalities can utilize TIF for the redevelopment of properties that have been deemed “substandard and blighted”. As applied, TIF allows the municipality to issue bonds to pay the costs of a redevelopment project, with the increased property tax revenues from the redevelopment area dedicated to paying off the bonds. After fifteen years (or earlier if the bonds are paid off sooner), the increased property tax revenues revert to the city’s general fund and to other political subdivisions which have a property tax levy on property within the redevelopment area. This past fall, TIF was also the subject of one of the committee’s major interim studies, LR 599. In an earlier update, I highlighted the work of the Justice Reinvestment Working Group to address the serious issues facing our state’s Department of Corrections including overcrowding and limited post-release supervision of individuals with serious felony offenses. This working group, with the assistance of the Council of State Governments, produced a report in January with three strategies and a variety of policy options to address these concerns. LB 605, introduced by Senator Mello, contains many of these policy options. 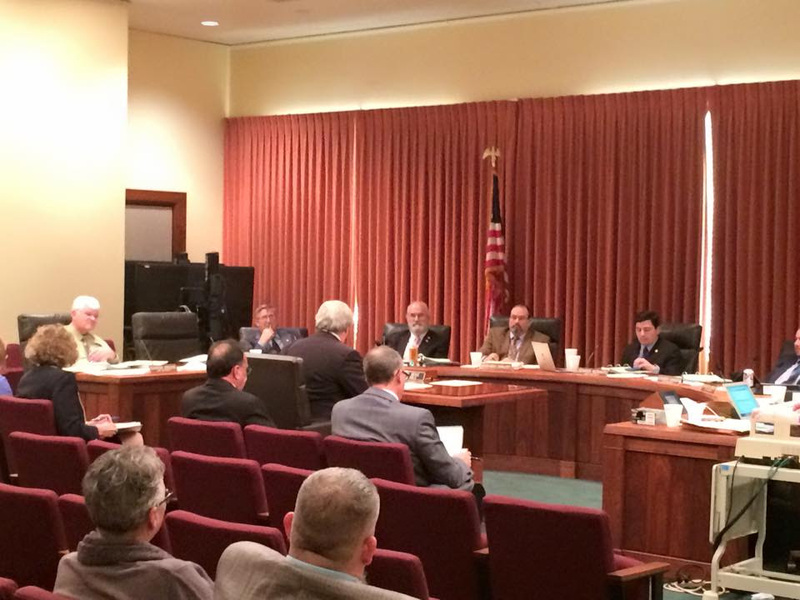 The hearing for LB 605 in front of the Judiciary Committee took place yesterday afternoon. I look forward to working with the Judiciary Committee and my colleagues to address prison overcrowding and our high recidivism rates. On Wednesday, the Legislature advanced LB 219 to Final Reading, the third and final round of debate before a bill is sent to the Governor for his signature. LB 219 is a bill I highlighted in a previous update. It adopts the Uniform Deployed Parents Custody and Visitation Act to provide a clear, legal framework for parents and judges to use to make arrangements for children subject to a Parenting Plan when a military parent is deployed. The bill creates a process that is consistent and predictable for military families during a time that is often anything but consistent and predictable. I look forward to this bill’s passage and putting the system in place to address these issues. The Urban Affairs Committee has jurisdiction over most state and local building codes, and since 2007 has heard bills dealing with a wide variety of codes, including building codes, energy codes, and plumbing codes. In 1987, the State of Nebraska adopted its first statewide building code to govern the construction, reconstruction, alteration, and repair of buildings in Nebraska. The goal of the state building code is to protect the life, health, property, and public welfare of Nebraskans by adopting minimum standards for building design and construction, and to provide for the use of modern and innovative construction techniques. On Thursday night, I held a town hall meeting on the campus of Bellevue University. About fifty people were in attendance. After a short overview of this year’s legislation, we had some great discussion on issues such as the learning community, military retirement taxation, and the homestead exemption application process. I appreciate everyone taking the time out of their day to come out and give their input. If you couldn’t make it, you are always welcome to contact my office with thoughts, questions, or concerns at (402)471-2615 orscrawford@leg.ne.gov. Last Wednesday, Pastor Drew Rietjens of Twin Valley Church in Bellevue served as the Legislature’s Chaplain of the Day. During his visit, he gave the opening prayer before the start of the day’s proceedings, visited with me and other senators, and was able to tour the Capitol and watch some of the day’s debate. It was wonderful to have a visitor from District 45 for the morning! If you know someone who would like to serve as Chaplain of the day, please have them contact my administrative assistant Courtney at (402)471-2615. On Tuesday afternoon, the Education Committee will conduct public hearings for several bills related to the Learning Community of Douglas and Sarpy County. These hearings include a bill I introduced this session, LB 392. LB 392 addresses one of the most significant issues facing economic development and growth in Bellevue and Sarpy County: school district boundaries. As the fastest growing county in Nebraska, Sarpy County needs flexibility as it grows and develops. The bill creates a process if negotiations over agricultural land transfers between the Learning Community schools break down. My hope is that school districts are able to work out this transfer without the process created in LB 392; however a process is important to ensure these disputes do not drag out indefinitely. LB 392 also eliminates the common levy for Learning Community schools and restores Educational Service Unit funding to schools in Douglas and Sarpy County schools. The Education hearings will begin at 1:30 PM in room 1525 in the State Capitol. Yesterday, I presented LB 147 to the Health and Human Services Committee. LB 147 is one step the Legislature can take to address some of the challenges plaguing ACCESSNebraska. The bill streamlines the administration of several public assistance programs under the purview of ACCESSNebraska, reducing unnecessary paperwork and staff time spent on unnecessary verifications. Income and work requirements in these programs are sufficient to direct the assistance to those most in need. Asset limits are unnecessary and even counterproductive to our ultimate aim to encourage self-sufficiency for families who temporarily receive these benefits. On Friday morning, LB 272, my bill to provide for a voluntary veterans preference in hiring passed General File, the first of three rounds of votes on a bill. Under the bill, businesses can elect to offer a hiring preference for veterans and spouses of 100% disabled veterans or those killed in action. If LB 272 passes, private companies across Nebraska can establish hiring preferences for veterans and veteran spouses that clearly comply with federal civil rights laws. Of the twenty bills that were referenced to the Urban Affairs Committee this legislative session, six have already been advanced to the floor of the Legislature by the committee. Among those bills is LB 168, a bill that updates and modernizes Nebraska’s statutes governing business improvement districts (BIDs). BIDs are special-purpose districts created by a municipality to help fund improvements and developments within an established business area. While the use of BIDs has increased in recent years, the statutes governing them have remained largely unchanged since the 1980s. Under LB 168, the cumbersome process of creating a BID would be streamlined to provide affected businesses with clearer information about the proposed district. LB 168 would also create a process to allow the expansion of an existing BID. Currently, if additional businesses would like to receive the benefits of the BID, there is no process in statute to expand the current boundaries. As a result, several communities have been forced to create new BIDs adjacent to the existing ones, which causes unnecessary duplication. The process to expand an existing BID would mirror the process for creating one under current law. Beginning on Monday, February 23, senators and committees can begin designating priority bills. In Nebraska, each senator has the opportunity to designate one personal priority bill while each committee can designate up to two committee priority bills. In addition, the Speaker of the Legislature can designate up to 25 Speaker priority bills. Bills with these three types of priority designations receive preference for scheduling floor debate. In the past two years, I selected LB 429 (2013) and LB 740 (2014) as my personal priority bills. LB 429 created a website to bring greater transparency and accountability to state contracts. The website can be found here: https://statecontracts.nebraska.gov/ LB 740 granted in-state tuition for veterans who left active duty within the past two years as well as their spouses and dependents. I will select my personal priority bill for this year in the next few weeks. Two of my bills, LB 368 (2013) and LB 719 (2014), received Speaker priority designations in previous years. LB 368 created a subsidized employment pilot program for low-income workers. GoodHire, a program operated by Goodwill Industries, is the result of this legislation. The program launched earlier this year. LB 719 brings greater transparency, efficiency and accountability to the rulemaking process. It provides additional tools for senators to assess and evaluate regulations, including a process to challenge a rule or regulation that creates an undue burden that significantly outweighs its benefit to the public or circumstances have changed since the passage of the statute which the rule implements. I will be holding a town hall meeting on Thursday, February 12th at 6:30 in the Symposium room in the Muller Administration Building on the Bellevue University Campus (1000 Galvin Rd. South, Bellevue, NE 68005). Follow the signs to the Administration building, enter the glass doors, and take the elevator to the lower level. I look forward to updating everyone on legislation introduced so far this session and addressing any questions or concerns you may have. See you there! This week, 4 of my bills advanced to General File: LB 107,109, 219 and 272. Three of these bills focus on military and veteran issues. LB 109 changes residency requirements for veterans attending a public college or university. It brings a bill we passed last year, LB 740, in compliance with new federal law. Under LB 109, veterans and their spouses and dependents who leave active duty service within the past three years are able to receive resident tuition right away. The bill advanced from the Education Committee on a 8-0 vote. LB 272 creates a voluntary veterans preference in private employment for veterans and spouses of 100% disabled veterans. The Government Committee advanced LB 272 on an unanimous vote. LB 219 adopts the Uniform Deployed Parents Custody and Visitation Act, creating a more thorough, clear and predictable process for military families under a parenting plan and facing deployment. The intent of the legislation is to create a framework for judges and parents to establish a plan for reducing disruption for the child when a military member with parenting time gets deployed. Any arrangements made to accommodate deployment end when deployment ends. The Judiciary Committee advanced LB 219 on a 5-0-2 vote, with two members present not voting. LB 107 eliminates integrated practice agreements for nurse practitioners. This bill reduces unnecessary government regulation and improves access to healthcare for Nebraskans, particularly in rural areas, at no cost to Nebraska taxpayers. This change is supported by groups such as AARP, the Center for Rural Affairs, Americans for Prosperity and the Nebraska Association of School Boards. LB 107 advanced unanimously for the Health and Human Services Committee on Thursday. I anticipate floor debate on these bills to begin as early as next week. What is a Committee Statement? When a bill is reported out of the Executive Board or one of the 14 standing committees, the committee clerk files a committee statement summarizing the content of the bill and committee action on the bill. If there is a committee amendment, the statement summarizes the amendment and how it changes the underlying bill. The committee statement reports how senators on the committee voted on the motion to advance the bill to General File. For example, if you look at the committee statement for LB 272 (which can be found here [link to http://www.nebraskalegislature.gov/FloorDocs/104/PDF/CS/LB272.pdf]), you can see a list of the testifiers who spoke in support of the legislation and their affiliation. The committee statement also tells you whether or not a bill faced opposition at the hearing. Last week, the Health and Human Services Committee held a hearing on LB 23 regarding the credentialing of Engineers and Architects. LB 23, a bill introduced by Senator Bob Krist, was drafted with the support of both professional organizations. The bill advanced unanimously from the committee and currently sits on General File. The Department of Health and Human Services oversees the licensing of engineers and architects, which is why LB 23 was referred to the Health and Human Services Committee. One of the Department’s important roles is oversight over the licensing and credentialing of professionals in the state. Discussions in the Urban Affairs Committee this week will return to the statutes governing cities and villages in Nebraska. Two of three bills being heard by the committee this week deal with municipalities’ extraterritorial zoning jurisdiction, commonly referred to as the ETJ. A municipality’s ETJ consists of the contiguous unincorporated land within a certain radius of its corporate limits. Municipalities have the authority to enforce certain ordinances and regulations within their ETJ, including subdivision regulations, zoning regulations, building codes, and nuisance ordinances. This is generally intended to ensure that infrastructure within the ETJ meets city standards, so that cities do not bear the cost of fixing substandard infrastructure upon annexation. The size of a municipality’s ETJ varies according to the classification of the city or village. State law currently classifies Nebraska municipalities into five categories based on population: 1) cities of the metropolitan class (300,000 or more); 2) cities of the primary class (100,001 to 299,999); 3) cities of the first class (5,001 to 100,000); 4) cities of the second class (801 to 5,000); and villages (100 to 800). Cities of the metropolitan (i.e. Omaha) and primary (i.e. Lincoln) class have a three-mile ETJ, cities of the first class (i.e. Bellevue) have a two-mile ETJ; and cities of the second class (i.e. Springfield) and villages (i.e. Murray) have a one-mile ETJ. LB 295: Require municipalities to have county approval before enforcing ordinances in the extraterritorial zoning jurisdiction. LB 304: Adopt the Municipal Custodianship for Dissolved Homeowners Associations Act. LB 266: Change provisions relating to jurisdiction for municipalities to enforce nuisance ordinances. Wednesday was the last day for senators to introduce new bills. This year, I introduced 19 bills. 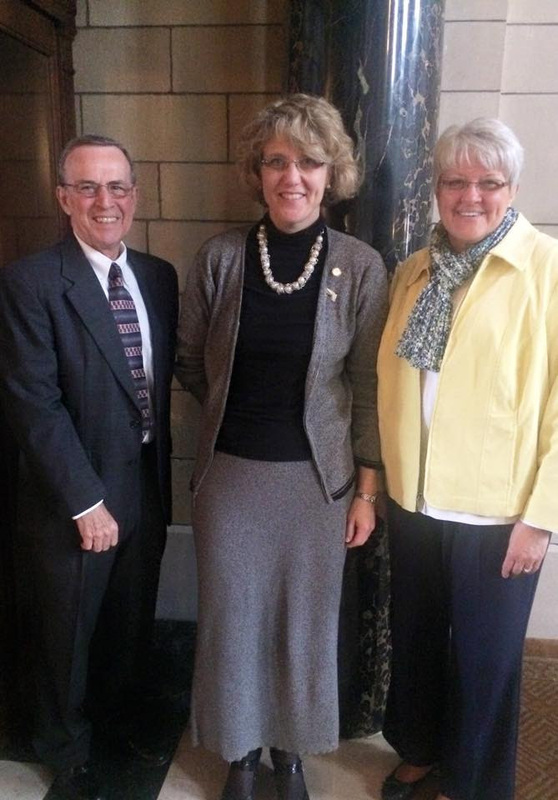 To view a complete list of the legislation I introduced, click here [http://nebraskalegislature.gov/bills/search_by_introducer.php]. Several of these bills have their public hearings next week, including LB 146, LB 148 and LB 272. LB 146 was a bill idea brought to us by a constituent, Bill Henry. Bill Henry works with the Nebraska Chapter of Missing in America Project to locate, identify and inter unclaimed cremated remains of veterans and their dependents. Bill Henry has worked with several funeral homes to identify and inter veterans at Fort McPherson free of charge. LB 146 establishes a process for funeral homes to work with veteran service organizations like Missing in America Project to find a final resting place for these forgotten heroes. The hearing for LB 146 is Thursday, January 29 at 1:30 PM in front of the Health and Human Services Committee, room 1510. LB 148 is the result of LR 533, an interim study resolution I introduced last session regarding foster youth who age out of the foster care system without reunification with their families or adoption. Under the Affordable Care Act, former foster youth can stay on the state’s insurance plan (Medicaid) until age 26. This mirrors the provision allowing young adults to stay on their parents’ insurance plan until age 26. Currently, if a former foster youth ages out of the system in Iowa, Missouri or any other state and moves to Nebraska to work or attend school, they lose access to this health coverage. LB 148 ensures all foster youth living in Nebraska who age out of the foster care system have access to health insurance. The hearing for LB 148 is Friday, January 30 at 1:30 PM in front of the Health and Human Services Committee, room 1510. LB 272 creates a voluntary veterans preference in private employment. This bill complements the work of the Legislature last year for public sector employees, allowing private sector employers to equitably compete for veteran talent. Under the bill, businesses can elect to offer a hiring preference for veterans and spouses of 100% disabled veterans. If adopted, Nebraska would join at least twelve states, including neighboring Iowa, who have established similar programs. The hearing for LB 272 is Wednesday, January 28 in front of the Government, Military and Veterans Affairs Committee in room 1507. With my election as chair of the Urban Affairs Committee, my office now houses committee staff in addition to my own personal staff. Courtney Breitkreutz, my administrative aide, takes on the added duties of serving as committee clerk, and my office welcomed a new member, committee legal counsel Trevor Fitzgerald. Trevor started working in the Legislature in 2009, and is originally from Louisville, Nebraska. Trevor earned his bachelor’s degree in political science from UNL, and a law degree from Creighton University. Prior to joining the Urban Affairs Committee as legal counsel this past September, Trevor served as legislative aide for former Senator Bob Giese of South Sioux City and Senator Heath Mello of Omaha. More recently, Trevor also served as research analyst for the Appropriations Committee, advising the committee chair on legal, procedural, and policy issues related to the state budget process. In his role as legal counsel, Trevor reviews and analyzes legislation assigned to the committee, coordinates committee hearings and briefings, researches legal and policy issues for the committee, and monitors activities related to the committee’s jurisdiction. The Urban Affairs Committee primarily deals with the statutes governing municipalities (cities and villages) in Nebraska, and also has jurisdiction over state natural gas regulation, building codes, handicap parking, and various types of special districts, including Sanitary and Improvement Districts (SIDs), Metropolitan Utilities District (MUD), mass transit authorities, housing authorities, and business improvement districts. Trevor and his wife Bonnie, who is a history professor at Metropolitan Community College, live in the Maple Village neighborhood in Northwest Omaha with their soon-to-be 4-year-old son, Jack. Trevor also serves as president of the Maple Village Neighborhood Association, enjoys traveling to and hiking in Rocky Mountain National Park, and is an avid baseball fan. Each week during committee hearings, my update will feature a preview of the issues being heard by the Urban Affairs Committee in the coming week. The committee’s first week of hearings focused on a handful of municipal-related bills that were heard by the committee in 2014 but failed to become law due to time constraints. This week, the committee’s hearings will shift to sanitary and improvement districts, or SIDs. SIDs are a type of limited-purpose political subdivision that is unique to Nebraska. First created in the late-1940s, SIDs are primarily utilized in urban areas to facilitate growth outside of city limits, with the expectation that the SID will eventually be annexed by the nearby municipality. Of the roughly 325 SIDs statewide, more than 80% are located in either Douglas or Sarpy County. While a helpful development tool, SIDs present a wide variety of unique challenges for residents, particularly in cases where an SID is not annexed by a city that “grows around” it. Most SID boards provide for basic services through contract or inter local agreement, but SID residents are often unaware that they cannot access city services without paying separate fees that are not charged to city residents. Similarly, SID residents are unable to vote in city elections since they are outside of city limits. You are currently browsing the District 45 News and Information blog archives for the year 2015.